Become a marketing partner with Catch Des Moines and we’ll help you snag a role within the growing tourism industry in the metro. Our mission is to market the region as a visitor destination generating economic impact and enhancing the visitor experience. Whether it’s a weekend traveler, meeting planner, sports planner or a convention attendee, we want them to find you! As a partner of ours, your business will be marketed on our website, in our visitor guides, planners guide, e-newsletters, and more. When people stop in or call, we’ll let them know what you offer and where to find you. With us on your side, you can better tap into the visitor market to expand your brand. Use one of our already created partner packages or create a custom one. From advertising opportunities to event sponsorship, let us help you get in front of a bigger audience. 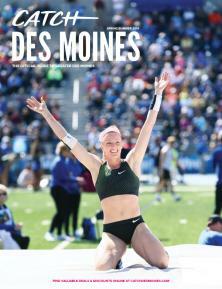 It’s time to catch a piece of the visitor business in Greater Des Moines!